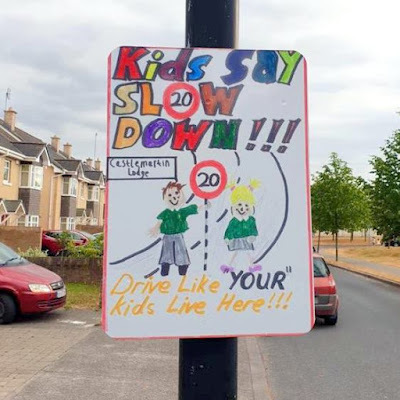 OK, so they're not official road signs, writes Brian Byrne. 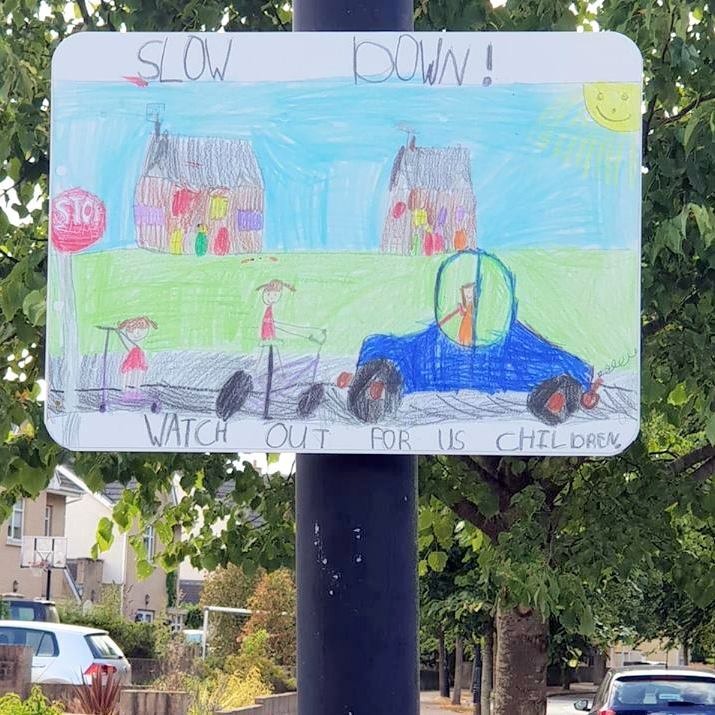 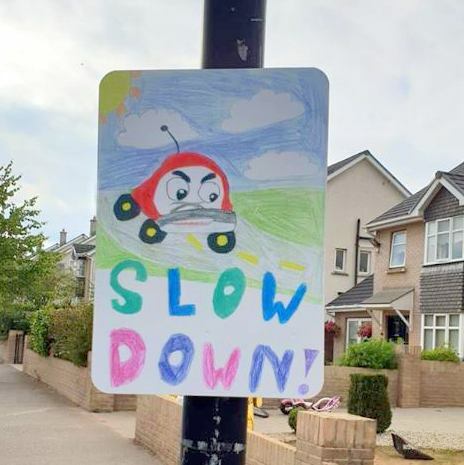 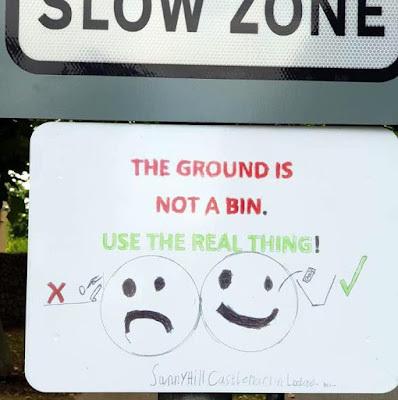 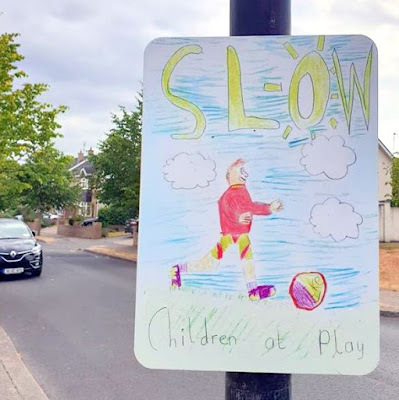 But these ones produced by the youngsters of Castlemartin estates certainly get the message across, both of road safety in the areas, and for keeping them clean. Full marks to the initiative (though I guess the Council will take them down as unauthorised ...). 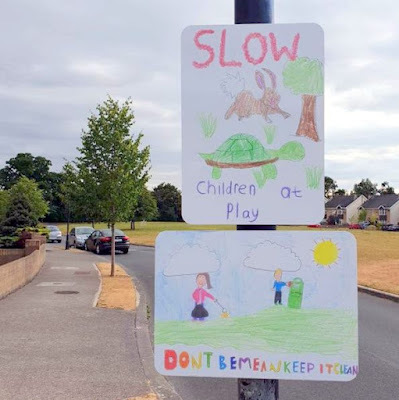 Pics from Castlemartin Lodge Facebook page.